Welcome Crafty Friends to the Cricut Cardz Challenge Easter Bunny Blog Hop! I am glad to participate in a hop with a great design team! If you came over from Suzanne's blog, then you are in the right place. Click here if you will like to start at the beginning. I made an Easter layout using A Child's Year, Celebrate with Flourish, and Songbird. I wanted to make sure there was plenty of room for journaling. I decided to pop-up every other letter in the title. The next stop is the amazing Janis. There will be blog candy given at Circut Cardz Challenge, so don't forget to stop by. I am not really into those colors but love the layout idea, thank for sharing it with us. The flower font from the Songbird cartridge completed your layout perfectly! my granddaughter wants me to start for her scrap book..great idea, love the bright colors. LoVeLy layout and so 'springy'! TFS! Springy layout and so pretty! Nice layout and the colors are so pretty!! TFS! I love all the colors used. Beautiful! What a fabulous LO, Candice. I love your beautiful paper choices. My favorite part of the LO is the title cut in flowers and how you popped every other one. Love this cart & this project! TFS! Very nice and colorful LO!! 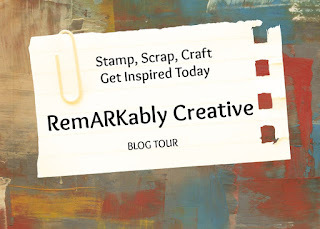 Thank you for being part of a very fun blog Hop!! I am a new follower and swing by mine sometime and see what I have been up to!! what a beautiful lo! Thanks for sharing! I love the title you created. So clever, might have to scraplift that I like it so much. I love the lo and the colors you used. nice job. I don't have the cartridge, hope to get it soon. I love how you spelled you spelled out Easter in the flowers! Very pretty layout Love all the colors and the title is adorable. Love your LO. It is nice to see something made with cart. I have. I need to scrap lift this. Thanks for sharing. You did a wonderful job on your LO! Maybe it is just because Easter is a time we try to make memories for children, but it has amazed me how many different things I have seen using A Child's Year just in the last week. I don't have that cartridge and with seeing so many great ideas for it lately, I am starting to think about it. 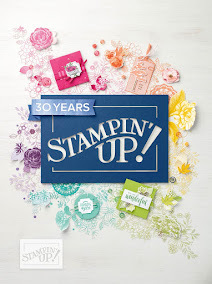 Thanks for being a part of the blog hop! Love the layout and spring colors. And adding the letters to the flower centers is too cute! I just found your blog on this hop and am now a follower. So very nice to meet you. Stop by my blog sometime and say hi. Love the colors you used in your layout, very pretty. TFS. I like the way you raised every other letter. It is such a great idea. Beautiful! Lovely colours and a great layout! CUte layout! Im a layout kinda girl!! Your layout is so bright and happy. Love the colors. Thank you for offering this wonderful blog hop and all the candy! I LOVE THE COLORS ON YOUR LAYOUT!!!! What a great project you have here. Ups, I almost forget... I'm your new follower! Wonderful layout! Love the spring colours!! TFS! Very pretty! I love the floral background paper you used. I need to get back into doing more layouts. You have inspired me! Have a blessed Easter:). Mollie (annaandjuliesmommie@hotmail.com). Very nice layout. You are inspiring me to get busy and do some layouts, too. Somehow or other, cardmaking keeps me too busy for other things. Thanks for sharing. Cute layout! I really like that cute of the child with the basket and the colors you used. TFS! Cute project. Love the bunny hop and all of the sinpirations and the chance to win some goodies. Great layout with nice bright colors. Thanks for sharing. I love the bright spring colors.... very pretty! Pretty layout! Love the colors & the popped up letters. Great job! Very cute card. I've had trouble using the images on A Child's First Year. Thanks for sharing your creativeness!! I've been wanting the cart. that cuts flowers w/letters. Nice cart! thanks for the bunny blog hop. I bought the childs year cart but have not used it yet... Love it! I love the title on this LO and the color combo. Great job! Thank you for sharing. Very pretty LO! I love how you used the flowers to make your title!